Pitcarin Islands. Bank of Fantasy. 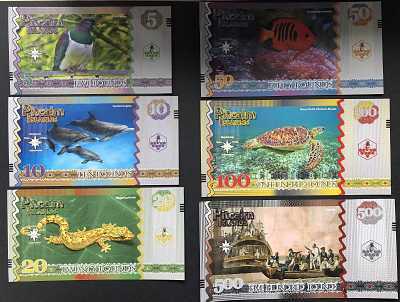 Matching 6 note serial set. 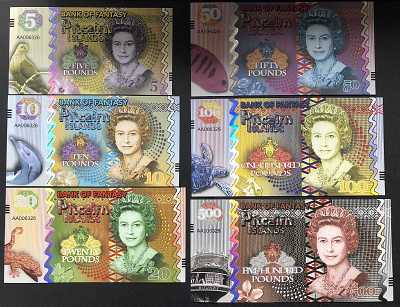 Features Queen Elizabeth II, security strip, birds, dolphinlizard, fish, turtle, insect, flowers. Bounty ship scene. Private Issue, not legal tender.